This course takes place on 30 October 2018. An intensive, one day, cadaveric course covering surgical approaches to the upper limb with a focus on the management of trauma. 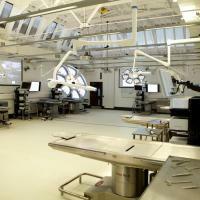 The course will provide demonstration and extensive hands-on experience using fresh/frozen cadaveric material. Aimed at experienced orthopaedic trainees and consultants, there will be a maximum of 2 delegates per cadaveric upper limb specimen with a faculty of experienced Consultant Orthopaedic Surgeons who all have a specialist interest in Upper limb Surgery.